Under Blue Skies : So You Want To Try Meditation? So You Want To Try Meditation? Greetings from Ilfracombe and welcome to the Under Blue Skies blog. I am very excited with how everything is progressing. I find that sharing these pages with everyone goes a long way towards stimulating me to keep writing them. For today’s piece I have been thinking that there could well be some of you who could benefit from an introduction to meditation.. The ultimate tip for any newcomer to the practice of meditation is allowing yourself to just be. I do not place too much emphasis and rigid rules. Meditation is something that is meant to help you centre yourself. 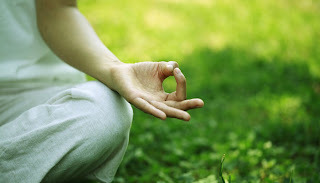 For some people, meditation consists of repeating powerful and meaningful mantras, whereas other people us it for opening or realigning their chakras in order to feel rooted and connected. However for many more people meditation consists of sitting or lying still and saying or chanting AUM or OM eventually reaching enlightenment. Meditation can be every one of the things on the list but it can also be none of them. So for now let us make the assumption that you are approaching this for the first time, and let me identify some simple ways to help you begin your meditation practice. No pressure, no expectations. In time I believe that you will learn to recognize meditation in its many forms. Meditation is a very selfish but in time it helps you to become more selfless. To begin a deep meditation, you have to focus on the very things you do regularly. One simple trick is to breathe in counting to four, hold your breath for another count of four and release on the final count of four. Repeating this simple habit during meditation helps to calm your thoughts, and to keep you in the present moment it also brings about a tremendous relaxation. Personally I find that it is nigh on impossible to maintain the focus on my breath with the television blaring away in the background or with my phone buzzing with alerts and texts every few minutes. I suggest that you give yourself the time to breathe. Turning away from this distractions it is a safe bet that you will be able to find five minutes in your day to just sit and breathe. A lot of meditative poses feel very uncomfortable. So do not worry about where you place your hands or about sitting in the lotus position. All you need to do is find a spot where you feel safe and at ease sitting or standing in a position that you feel comfortable holding for at least five minutes. You are spending time for yourself and whatever things you need for your comfort, such as pillows or a blanket etc should be sorted before you begin. Often when you start out into meditation, the sudden silence is quite unsettling. That silence is in stark contrast to the rambling thoughts that are whirling around inside your head. Take some time to find music that you will find soothing before you start your meditation. Doing this will begin to help you relax which in turn will assist you when begin to focus on your breathing. I personally find guided meditation very helpful because there are times when you want to meditate but you simply don’t know what to do or you focus your attention on whether you are doing it right. A guided meditation lets you listen to the voice of your guide and thus allows your to fall into the meditation state. Many people believe that when you begin meditation you have to stop thinking. However I disagree - simply following the first step above and focusing on your breathing, expressing silent gratitude for being able to inhale and exhale, your thoughts will inevitably slow down. Let the thoughts flow, focus on everything, including the colours you see once your eyes are closed then slowly and gently let them go as if they are simply memories that will return to you again. Let go of all your judgments about everything, especially about whether you are doing this the right or wrong way, just focus on the positive and keep breathing. Being connected to yourself often means allowing everything to flow through you with acceptance. Meditation will teach you to respect your many emotions and try to understand them. There is not point in quickly trying to rationalize or avoid them. For example when you feel fear, it is no longer your mind judging you for being weak. Meditation can turn that into an inquiry, to search for the root of the fear. Treating your emotions as being valid opens the way to greater self-love and patience and as you work through large and small issues alike it can assist in preventing them from reoccurring so frequently. Meditation is no different from any other exercise, the more you meditate, the easier it becomes and you will be to make it a habit. I recommend that you start small using around five minutes a day and then as you begin to enjoy the calm that this practice bring, repeat it for another five minutes at night before bedtime. In the early days it is a good idea to look to meditate at least three times per week. There is an old saying the “even the wisest man starts with one wise thought”. Each time you think that you have failed at a meditation, remind yourself that there is no failure:- you paused, you breathed, you relaxed! Some days you will be more distracted than on others and some days you might feel that your meditation is more fluid. If you experience both of these states then congratulate yourself for sticking with it long enough to experience both type of days. Be patient and kind with yourself. It might be a good idea to have a calendar or a meditation journal to jot down the days you’ve successfully completed your practice. Keeping this diary can help to keep you motivated on the days where you might find meditating difficult. The journal is a great place for noting any of the pressing thoughts you either accepted or derailed during your meditation. As you practice meditation more often, you may find that you are able to make strong realizations that can help or guide you personally. It is a lot easier to sit or lie in a relaxed position and go deep into yourself when are carrying no grudges or heavy emotions. As you make meditation a habit, it will become easier to let go of all the things that no longer serve you. As you do this you will find that you are able to bring all of your energy, effort, will and heart into the present – where you belong. If you find that you are too restless for the above style of meditation and that you just can not get to grips with sitting still, there is something else that you can do every day that is just as simple and beneficial. Start with taking just a minute, and using a pen and a piece of paper write down three things you are grateful for. Do not worry most people have to think hard in the beginning to think of three things to write down. That moment of reflection and appreciation on the little things in life is meditation. The hint of smile, either internally or externally, as you realize the things you’re grateful for today - is meditation! Once you finish writing them down, put down your pen and hold on to the feeling for another minute and say “Thank you” to the universe, to yourself and to the present. So as we reach the end of this week’s post I would like to thank you sincerely for taking the time to read the words. I hope that you will find them useful as you move forwards in your daily life. To subscribe to the tribe, please search for Under Blue Skies on Facebook and it will be great to see your name on there. It would also be great if you would spread the word about the blog, the tribe etc. to your friends and family. The Fearless Life Guide is a new book written by teacher and practitioner M. J Robertson. 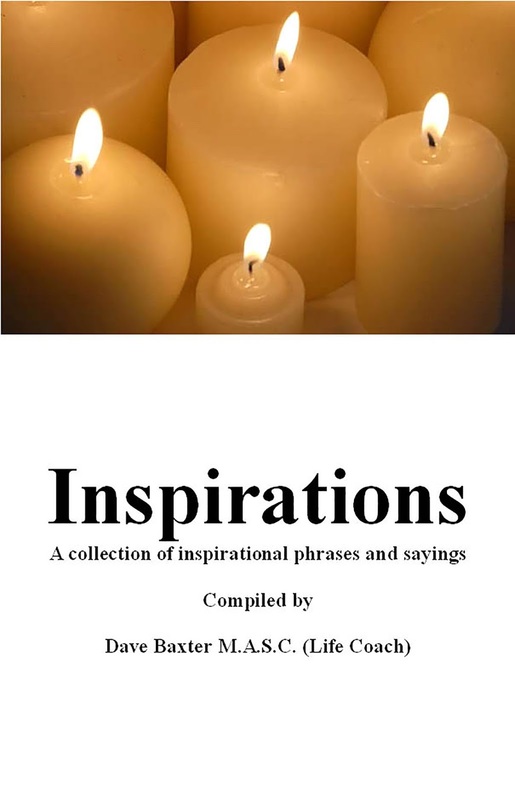 It is available to buy via Amazon and clicking on the cover photo below provides a link to the page. Molly is an amazing person and I am sure that you will find her work of great interest. PS. A daily email containing a new Inspirational Phrase is available by subscribing. Simply send an email to moonshadowmedia@mail.com with “add me” as the subject line. When you subscribe the phrases are delivered to your mail box each day completely free of charge.